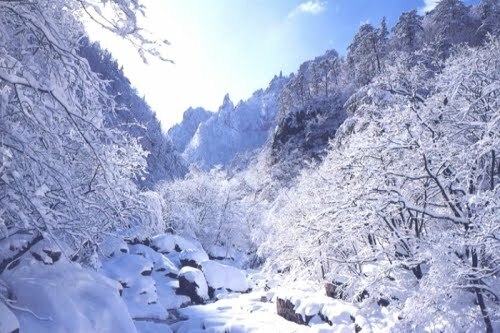 Korea Tour Package: Korea Tour – Korea Ski Tour and Jeju Island Tour can Make Your Trip More Memorable! Korea Tour – Korea Ski Tour and Jeju Island Tour can Make Your Trip More Memorable! When you are planning for a Korea tour, there are a few things that you need to know well in advance. You must be curious about your tour to Korea but these are the most important things that you need to keep in mind in order to make your tour special, attractive, and pleasant. When you are planning for such a trip, the food and beverage section may generate a great amount of interest within you. You must be looking forward to know what sort of food you can expect once you are in Korea, right. Well, in Korea you can find most of the food items that are based on rice, meat, tofu and noodles. As far as the Korean cuisines are concerned, they are very tasty and healthy. Chefs here follows the unique traditional methods to prepare such foods at the hotels, eateries and restaurants. When you order for the main meal, you can also have bunch of other side dishes which are served along with the main course. These dishes are also called as banchan. Among such side dishes, Kimchi is something that has become a popular dish across the globe. And when you are going to Korea, why not plan your trip during the winter time. Korea ski tour has become more popular among tourists across the globe now days. there are some high quality ski resorts located in this country. These ski resorts are what taking the level up for ski tour to Korea. They provide all the amenities and facilities to their guests so that tourists can get an amazing skiing experience in Korea. Yongpyang resort and Jisan Forest Resort are the leading names in this business. There are several other ski resorts also located here where you can find the best scenery of winter snow. And when you are in Korea, you can really complete your travel with a Jeju Island tour. This is an amazing island located in Korea. From here you can flock to Seongsan IIchulbong Peak. This peak is located in the sea and rising at a height of 182 meters. This peak is formed over ten thousand years due to the volcanic eruptions that have occurred here during this time frame. From the Jeju intercity bus terminal it takes near about one hour and thirty minutes to reach for this place. The next point is the Teddy Bears Museum that can really make you feel amazed when you are at Jeju Island.